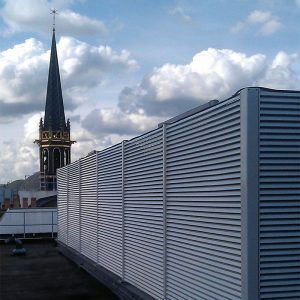 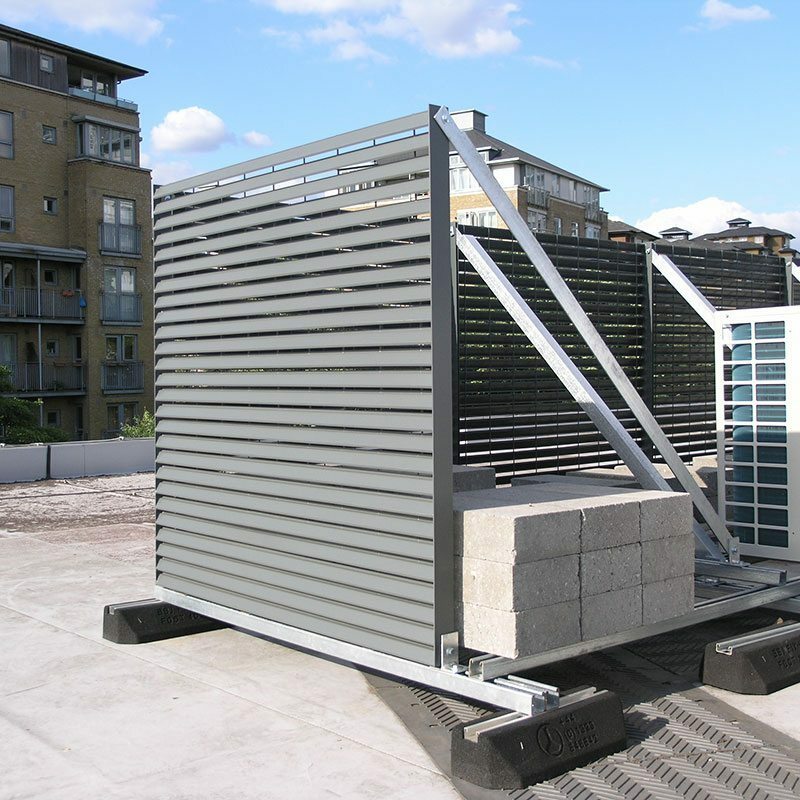 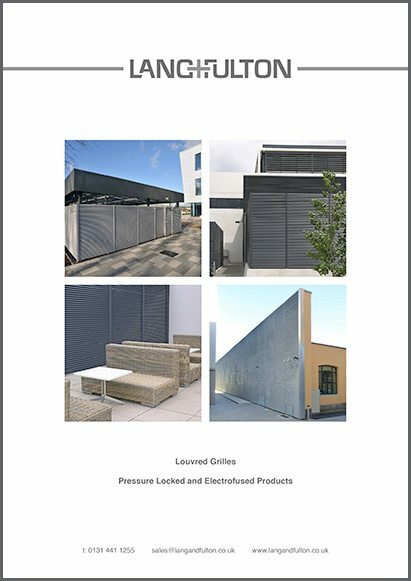 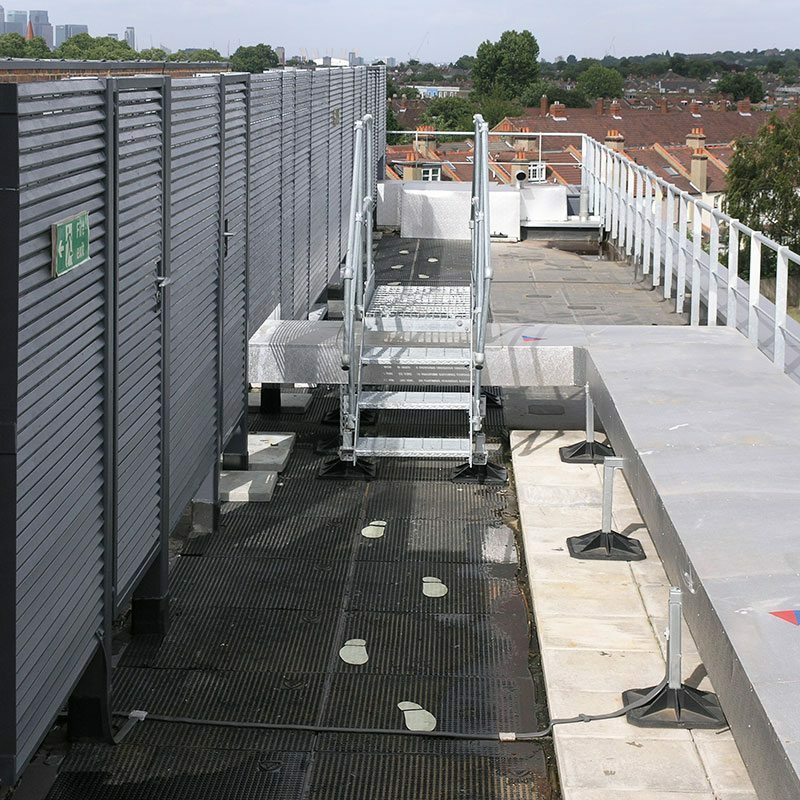 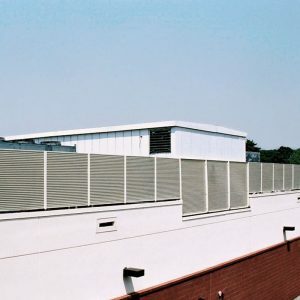 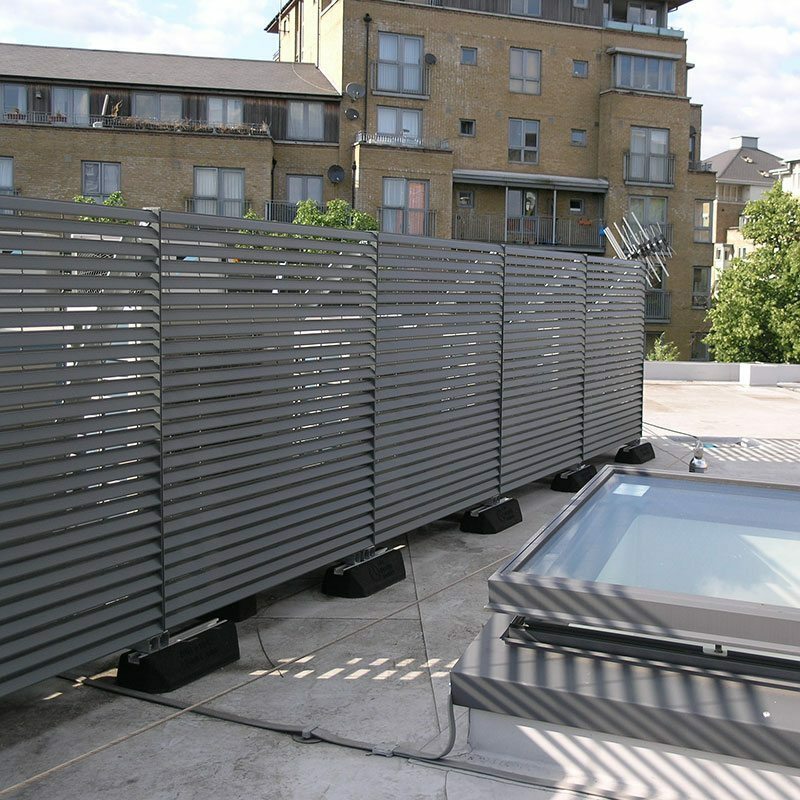 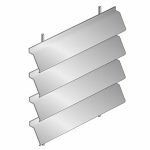 Louvres for roof-top screening have a steel construction for strength and durability and are available in two designs: Italia-100 and Italia-80. 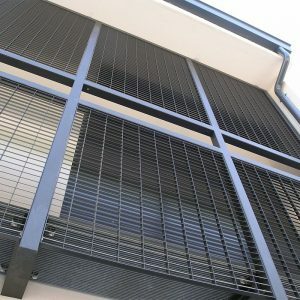 Italia-80 delivers 80% visual screening with 37% free area. 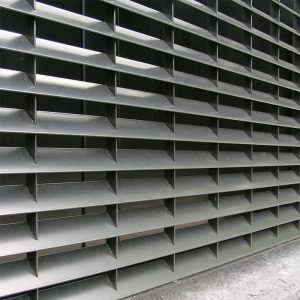 Italia-80i is manufactured with the louvre blades inverted to face upwards which maintains the visual screening properties from ground level. 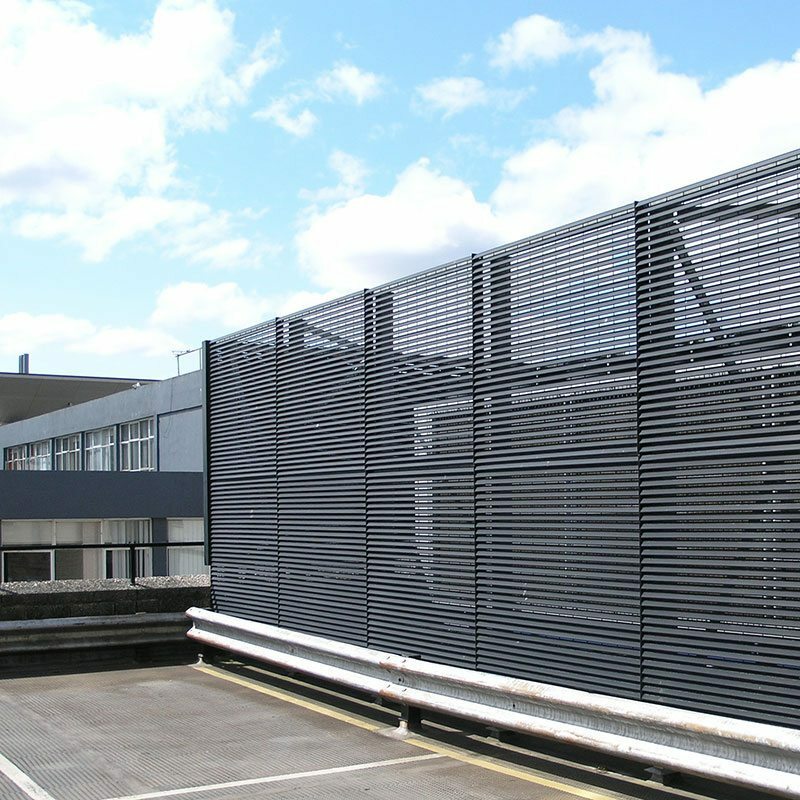 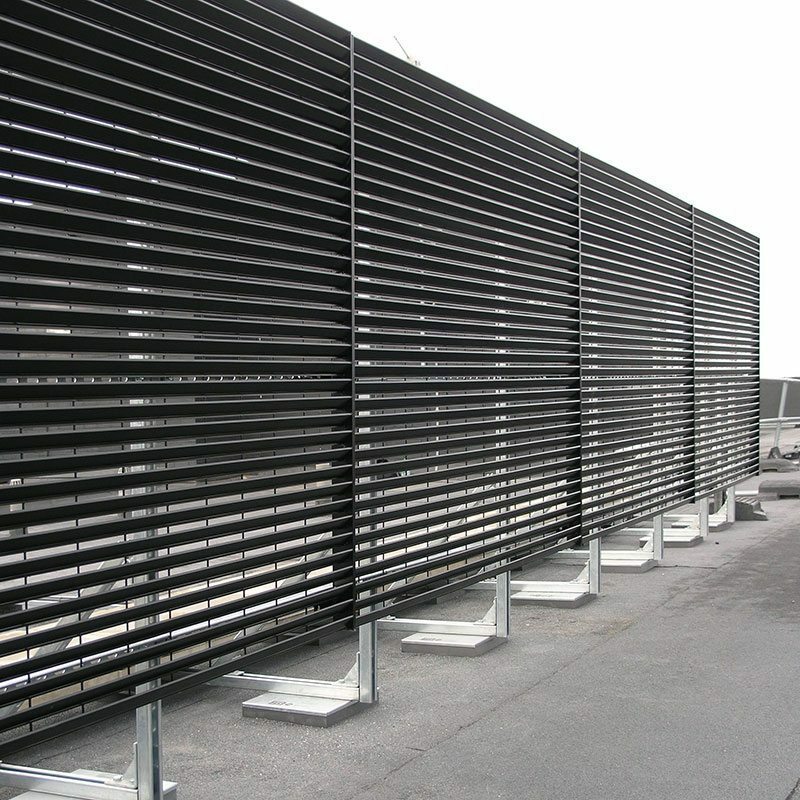 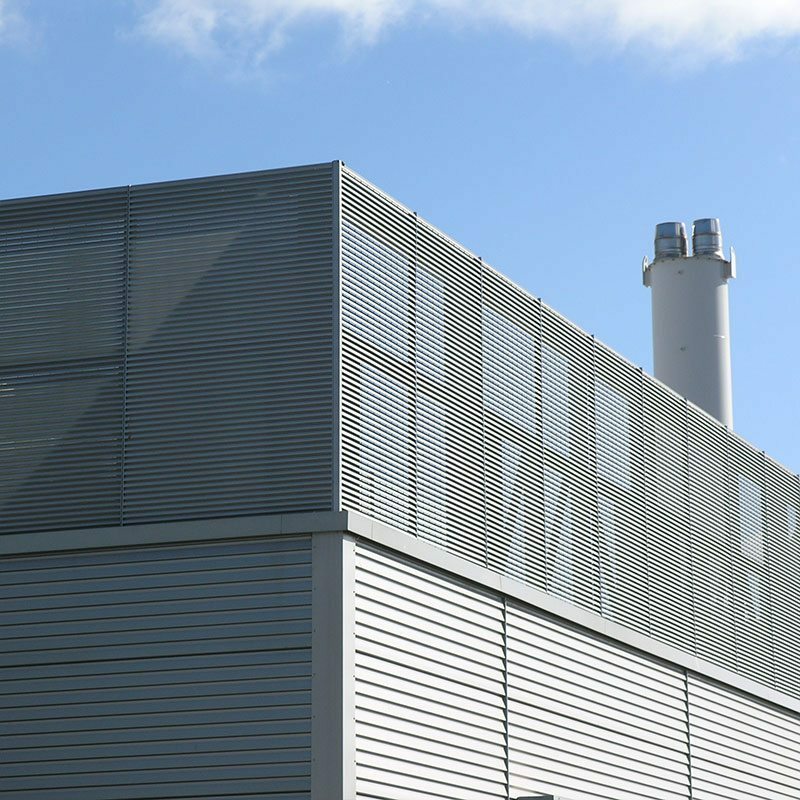 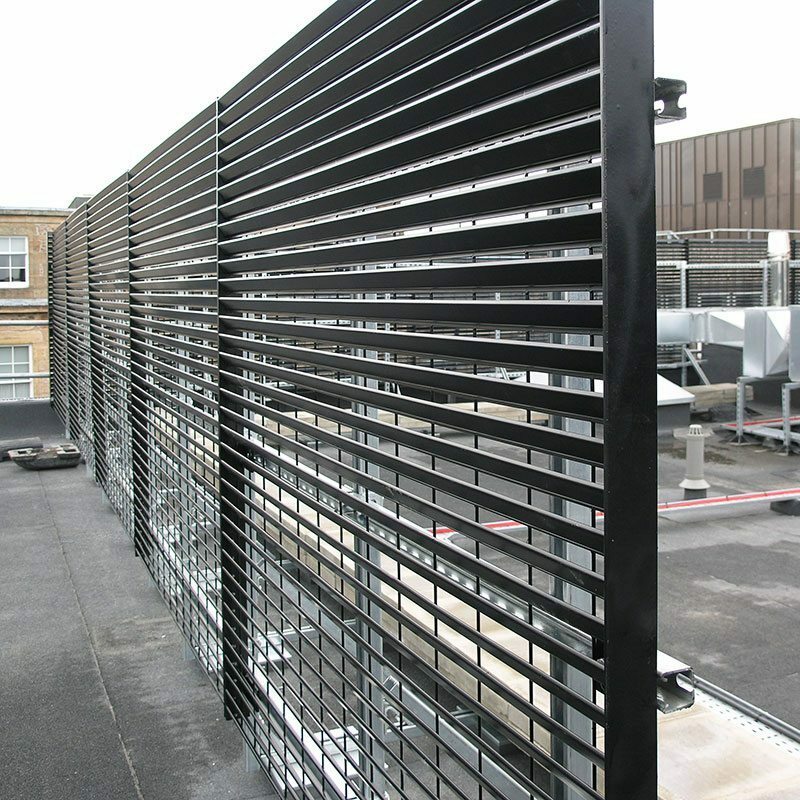 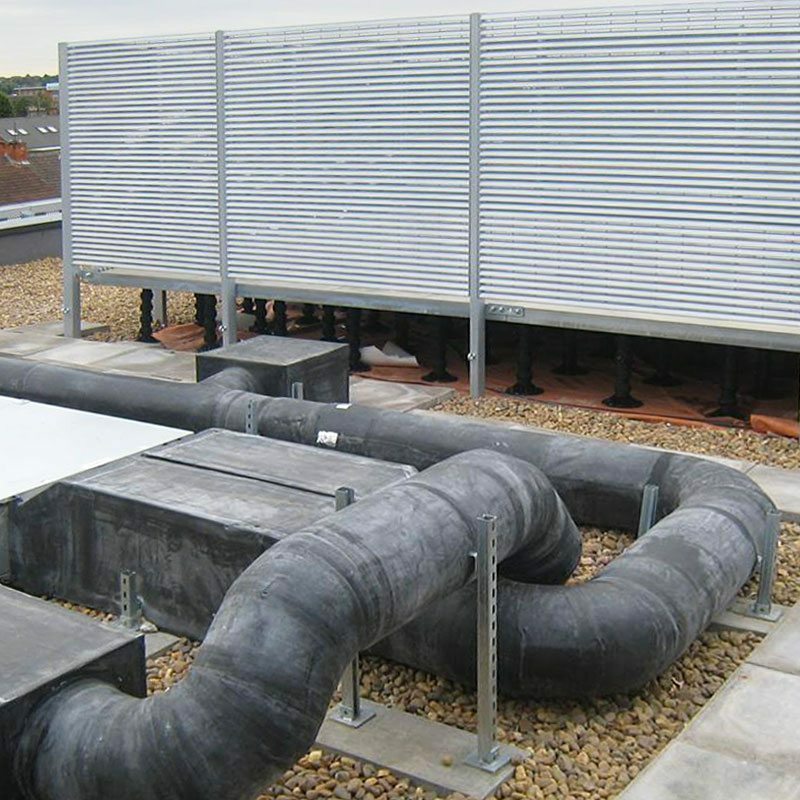 While providing a screening function, the louvres also allow the free passage of air which reduces the impact of severe wind conditions. 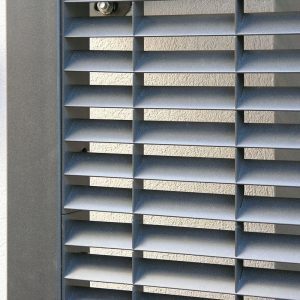 Our Technical Department will design a complete package engineered to accommodate the calculated wind loadings. 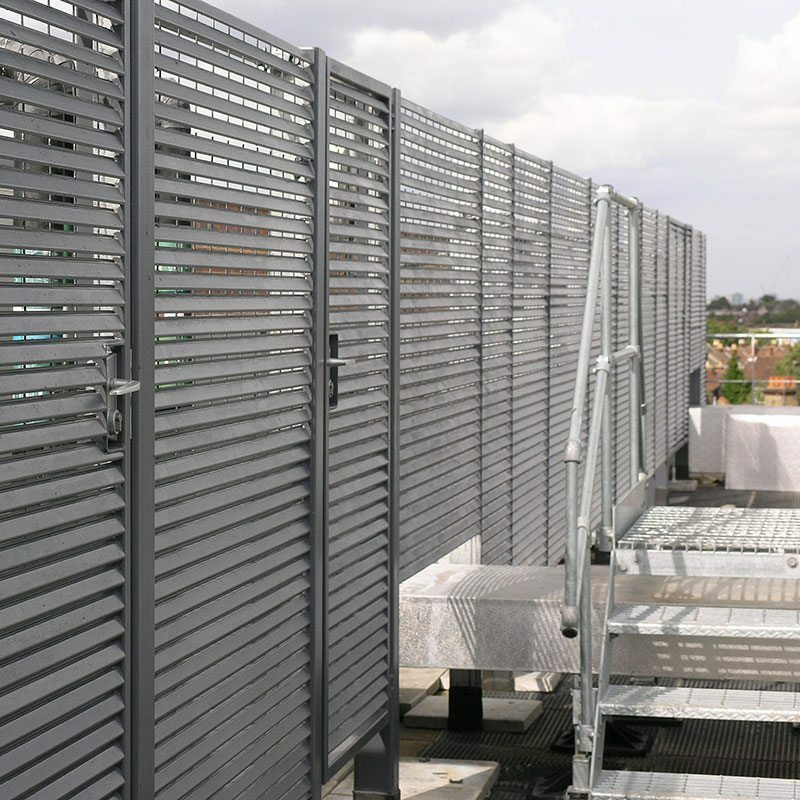 Custom-sized panels and posts are supplied either for direct roof-fixing or with a ballasted support system suitable for installation on a pre-existing waterproof membrane or bitumen coating. 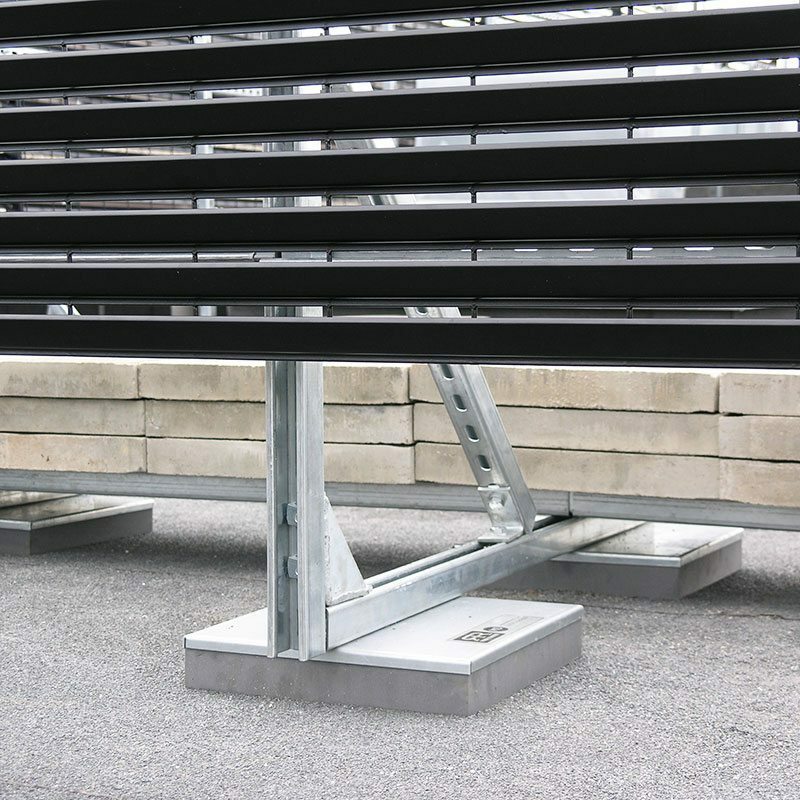 The adjustable framework is attached to non-penetrative feet which have a high tensile strength and an anti-slip ethafoam pad to distribute the load. 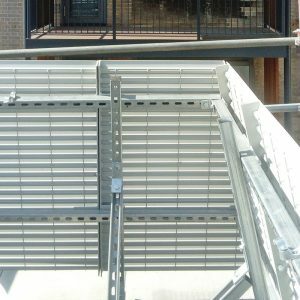 Single or double access doors can be included and panels shaped to accommodate ducting, parapet walls, conduit or any roof obstruction. 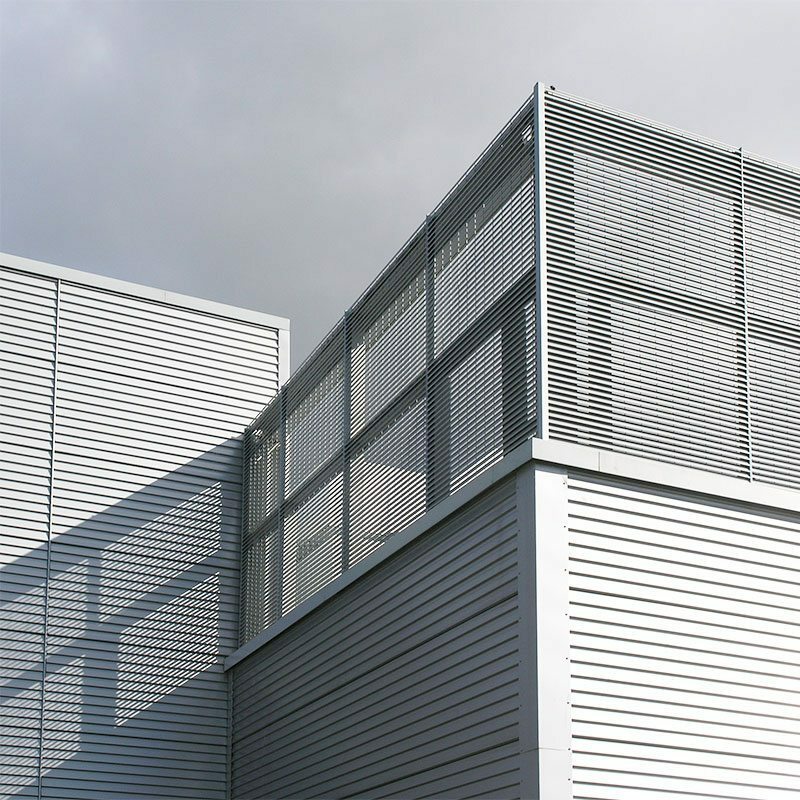 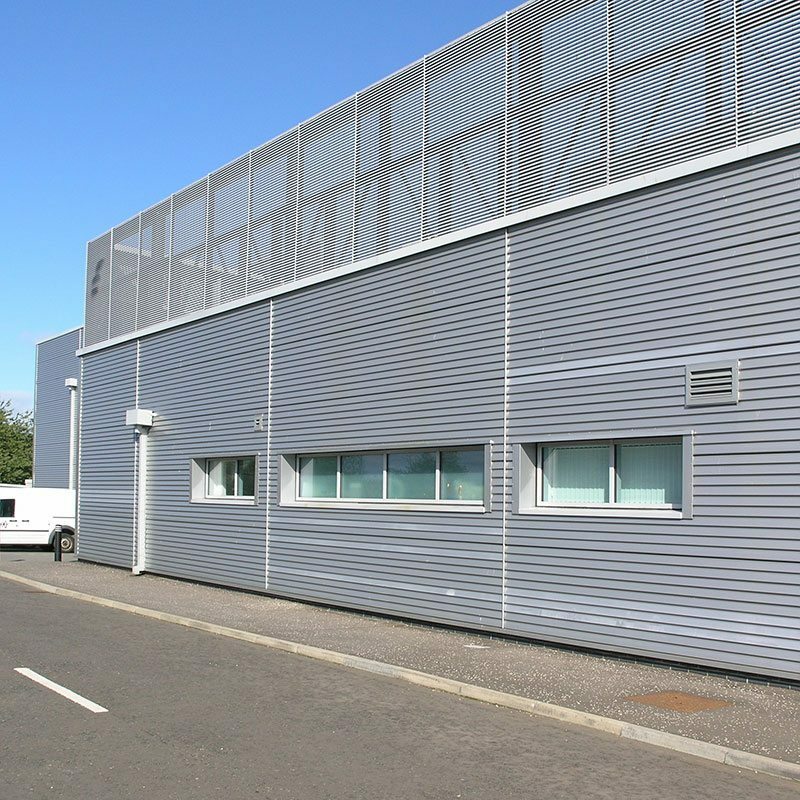 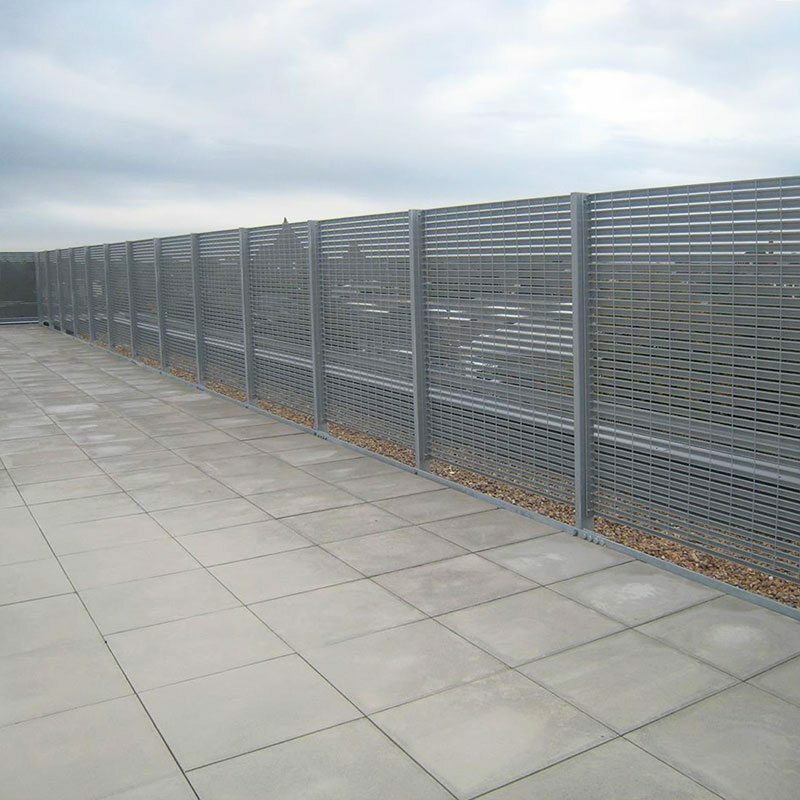 Products are finished hot-dip galvanized with an optional powder coated to any RAL colour.